Твердотельные диски SD Card и MicroSD Card купить | Innodisk в Украине – официальный дистрибьютор компания ХОЛИТ Дэйта Системс. Твердотельный диск Micro SD Card(Industrial, Standard Grade, 0℃ ~ +70℃)The Innodisk Industrial microSD card is a tiny, SLC-based storage solution designed for ruggedized embedded applications. 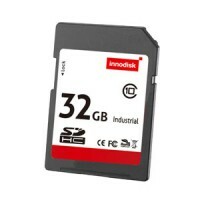 This industrial-grade device delivers data transfer reliably and provides excellent long-lasting performanc..
Твердотельный диск Micro SD Card(Industrial, W&T Grade, -40 ~ 85℃)The Innodisk Industrial microSD card is a tiny, SLC-based storage solution designed for ruggedized embedded applications. This industrial-grade device delivers data transfer reliably and provides excellent long-lasting performance. It..
Твердотельный диск SD Card(3.0) with Toshiba(Industrial, Standard Grade, -20℃ ~ +85℃)Innodisk industrial SD card 3.0 series are specifically designed for industrial PC and embedded applications. The 3.0 series SD card has latest firmware architecture and Flash algorithms, including superior wear lev..
Твердотельный диск SD Card(3.0) with Toshiba(Industrial, W&T Grade, -40 ~ 85℃)Innodisk industrial SD card 3.0 series are specifically designed for industrial PC and embedded applications. 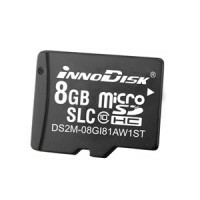 The 3.0 series SD card has latest firmware architecture and Flash algorithms, including superior wear leveling, ..
Твердотельный диск SD Card with Toshiba(Industrial, Standard Grade, 0℃ ~ +70℃)The Innodisk Industrial SD card is a slim, SLC-based storage solution designed for portable devices. With a built-in ECC function, it can help detect and correct errors during data transfer. 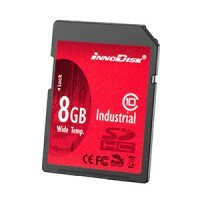 It is also compatible with SD 1..
Твердотельный диск SD Card with Toshiba(Industrial, W&T Grade, -40 ~ 85℃)The Innodisk Industrial SD card is a slim, SLC-based storage solution designed for portable devices. With a built-in ECC function, it can help detect and correct errors during data transfer. It is also compatible with SD 1.1 an..